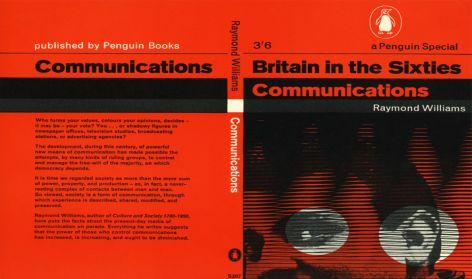 Britain in the Sixties Communication book cover (no date). Uncatalogued. 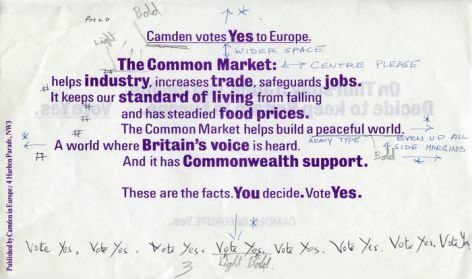 Camden Votes Yes! (no date). Uncatalogued. 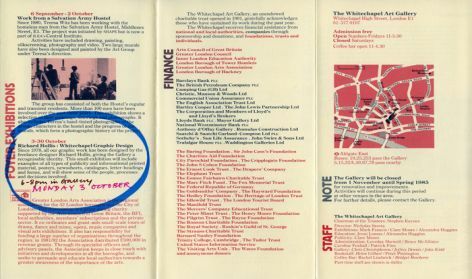 Whitechapel programme (Sep - Oct 1983). Uncatalogued. Youth Group masthead (no date). Uncatalogued. Richard Hollis is a graphic designer, writer and teacher. 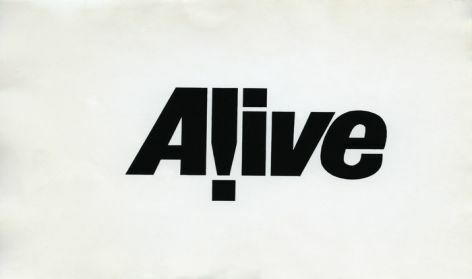 This archive documents the range of his practice across graphic design, writing, teaching and activism. Hollis has taught at various London art schools, as well as having established, with Norman Potter, the School of Design at the West of England College of Art in Bristol in 1964. His book design includes John Berger’s ‘Ways of Seeing’ (1972), and a large body of work for the Whitechapel Art Gallery (1970-1972 and 1978-1985). He has also made a significant contribution to the history of graphic design in through his books including ‘Graphic Design: a concise history’ (1994).